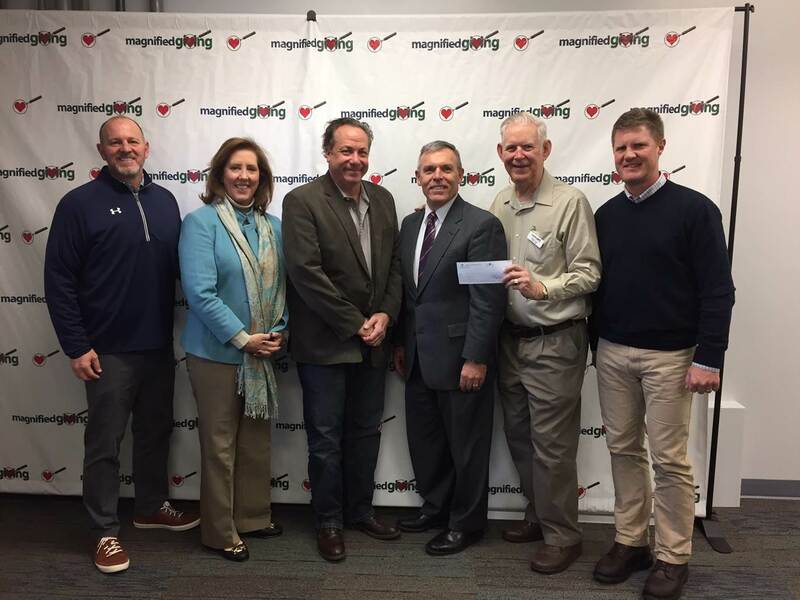 On Monday, December 12, Larry Bergman and Jim Abele, Chief Executive Officer of the Cincinnati Area Board of REALTORS, presented a donation to the charity organization, Magnified Giving, on behalf of the Commercial Council of Greater Cincinnati and the Cincinnati Area Board of Realtors. The mission of Magnified Giving is to educate, inspire and engage students in philanthropy, and to touch the hearts and minds of teens, lighten the concerns of others, and magnify the impact of philanthropy. Their premier program is the Student Philanthropy Program. This program provides donors with the opportunity to see their financial gift reap magnified rewards – touching the lives of thousands of “junior philanthropists” and dozens of teachers before eventually making its way to local non-profit agencies, where their gift is used to affect many more lives. It is truly a win-win investment opportunity.